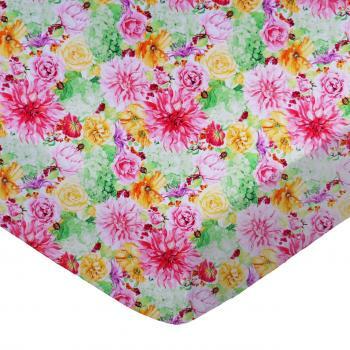 This exclusive stroller liner is made of an all cotton woven fabric. Features a solid navy and single pink patch design. It's trimmed with a matching piping. 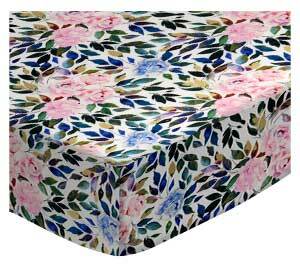 Liner is filled with a 24 oz plush poly fiber and is lined with an all cotton woven fabric. 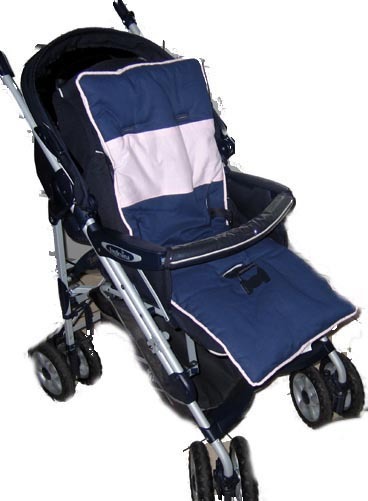 Its' 5 point harness design makes it compatible with almost all strollers on the market. (Liner is machine washable and dryable. Please follow care label instruction.) MADE IN USA!